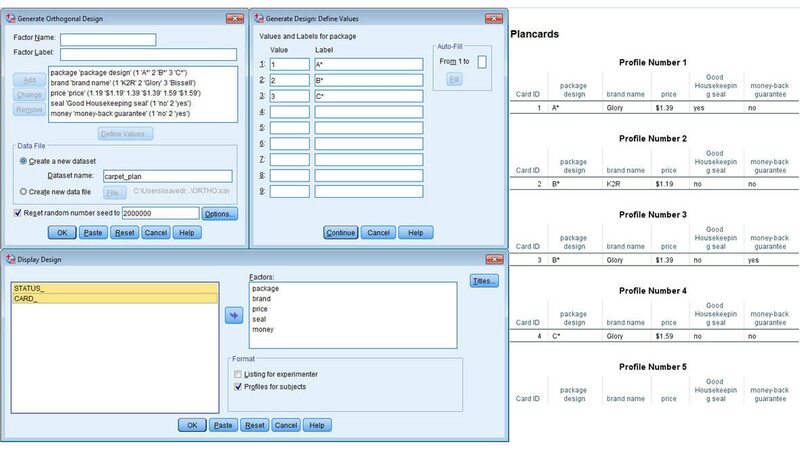 Establish the parameters of your study with the Orthoplan design generator. Orthoplan gives you an orthogonal array of alternative potential products that combine different product features at specified levels. This can reduce the questions you need to ask, while still getting enough information to perform a comprehensive analysis. Let the system guide you through creating “plan cards” that respondents sort to rank their preferences. After you gather data using plan cards, the system performs an ordinary least squares analysis of preference or rating data, and generates charts to simulate expected market shares. You can use the results to inform campaigns, such as which product attributes are important and at what levels they are most preferred. You can also perform simulations that will tell you expected market shares for alternative products. Plan, implement and analyze efficient surveys, and discover how respondents rank their preferences and product attributes. IBM SPSS Conjoint requires a valid IBM SPSS Statistics Base license.